Norwood HP121 Manual Cash Drawer with "Push to Open" "Push to Close" Latching System - No Power Required. Norwood HP122 Manual Cash Drawer with "Push to Open" "Push to Close" Latching System - No Power Required. If you are looking for a Manual Cash Drawer that does not need to be connected to a Point of Sale (POS) device, Cash Register Warehouse has a range of quality Norwood Cash Drawers which as "Push to Open, Push to Close" but still have a lock to ensure you can secure your cash. Our range of manual drawers are constructed in Australia and are made from the best quality materials to ensure they can withstand tough environments. An alternate option for opening a manual cash drawer is by using a push button. This is a small button located on the front of the Cash Drawer which when pressed, releases the mechanism. 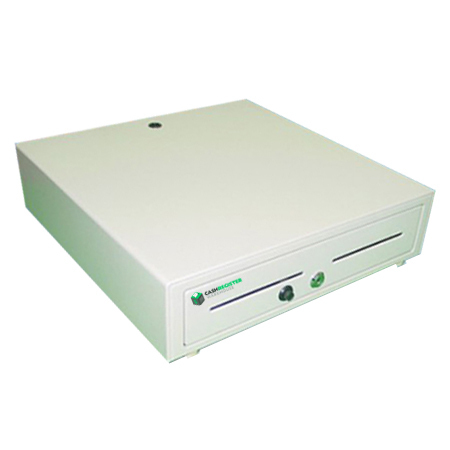 Manual Cash Drawers are popular in many environments including show rooms, medical, pizza shops, ticket sale, clubs and hotels and any other business that needs to store and secure cash. If you have any questions about our range of manual cash drawers for sale, feel free to contact our POS Team.